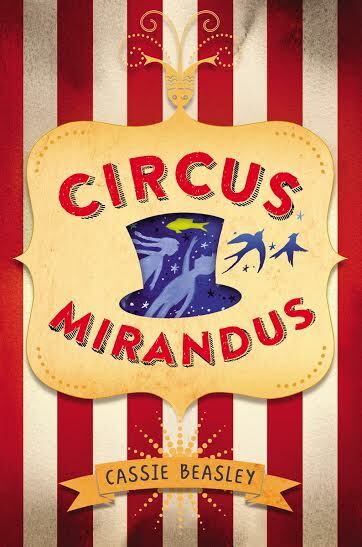 GreenBeanTeenQueen: Happy Release Day Circus Mirandus Giveaway! I am so excited to share with you today about a beautiful debut novel, Circus Mirandus, by Cassie Beasley. 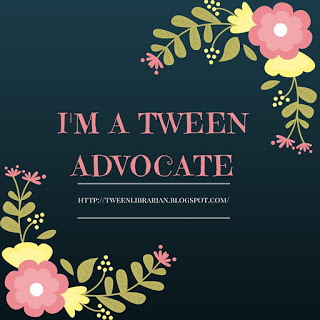 Myself and many other bloggers are celebrating this middle grade debut. There's even a letter from Cassie about how exciting it is to see her book enter to world today. Circus Mirandus has received three starred reviews and is an absolute gem of a book. Thanks so much to Word Spelunking for organizing this! More details about the book are below, as well as a Rafflecopter giveaway for a bunch of swag items, courtesy of Penguin Young Readers! Enter for a chance to win at the bottom of this post. About the Book: Micah Tuttle believes in magic, even though his awful Great-Aunt Gertrudis doesn’t approve. Micah believes in the stories his dying Grandpa Ephraim tells him of the magical Circus Mirandus: the invisible tiger guarding the gates, the beautiful flying birdwoman, and the magician more powerful than any other—the Man Who Bends Light. Finally, Grandpa Ephraim offers proof. The Circus is real—and the Lightbender owes Ephraim a miracle. With his friend Jenny Mendoza in tow, Micah sets out to find the Circus and the man he believes will save his grandfather. The only problem is, the Lightbender doesn't want to keep his promise. And now it's up to Micah to get the miracle he came for. Readers will fall in love with Circus Mirandus, which celebrates the power of seeing magic in the world. Ages ago I hung a poster in my room with the words “The Circus Opens Summer 2015” in bold letters across the top. At the time, it seemed that Summer 2015 would never come. Now, miraculously, June 2 is here, and Circus Mirandus is springing up in bookshops all over the country. In the story, those called to Circus Mirandus feel a change in the wind. They hear music on the air, pipes and drums leading them toward magic and hope and heart’s desires. Eventually they find themselves before the gates, standing, as I am now, on the threshold of somewhere both wonderful and unknowable. As people read the pages into which I’ve poured so much time and self, I wonder what they’ll think of the world I’ve created. I wonder if they will love it as much as I do. It’s an exciting moment, stepping through these gates into a place I’ve imagined but never seen. Thank you so much for making this journey with me. Thank you for supporting the book. Thank you, most of all, for believing. Want to win a copy of Circus Mirandus? Giveaway will run from June 2nd until June 16th. I love debut novels and this one sounds great! A debut from May 2015 that I'd like to share is The Dragonfly Guardian by Angela Antaloczy, it is a great YA debut, can check it out on goodreads if able. Anyways thanks for the post, enjoyed the book and author info, as well as her lovely letter to readers.